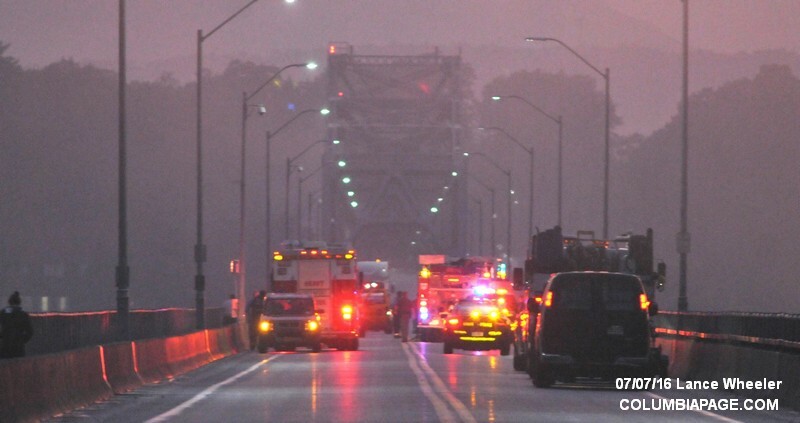 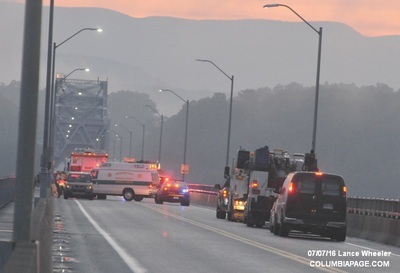 Columbia County 911 dispatched Greenport Firefighters and Greenport Rescue at 7:58pm for a reported two vehicle head on accident on the Rip Van Winkle Bridge in Greenport. 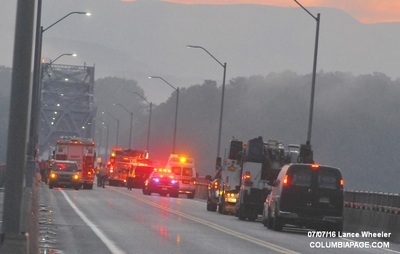 A LifeNet helicopter was placed on standby then requested to respond. The landing zone was at Lowe's in Catskill. 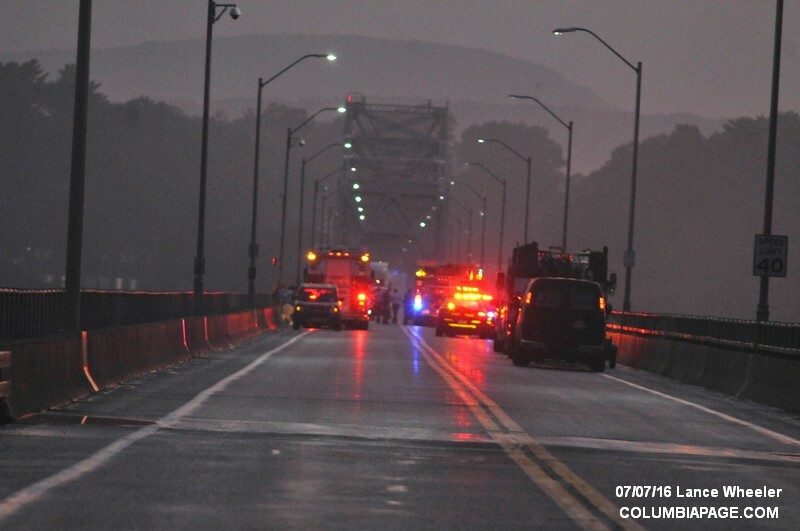 Mutual aid was requested from Catskill Rescue. The bridge was closed during the incident. 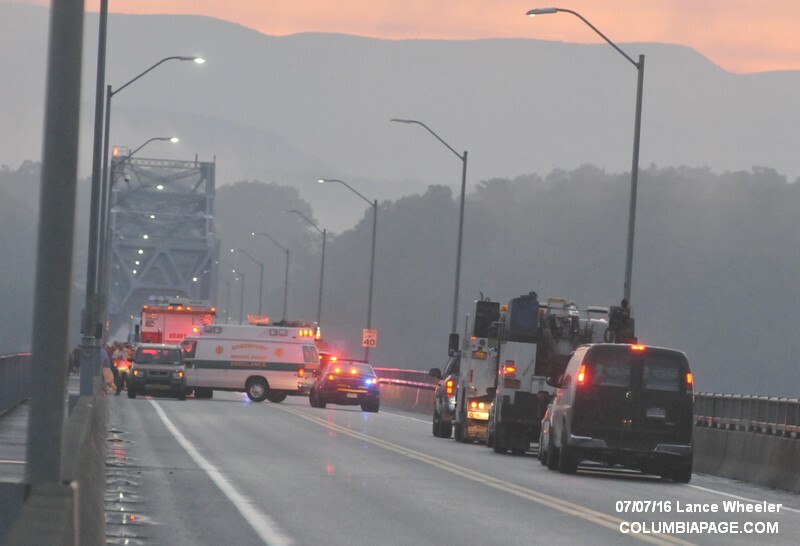 Assisting on the scene were the Catskill Police Department, Greenport Police Department and the New York State Bridge Authority. Greenport Firefighters were back in service at 9:56pm.